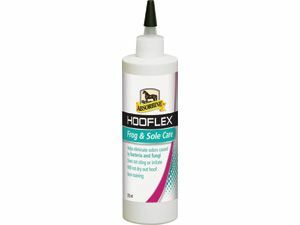 Hooflex Frog & Sole Care helps eliminate odours caused by bacteria and fungi. Non-staining, does not sting or irritate. Will not dry out hoof. Magic Cushion® hoof packing is proven* to provide fast, soothing relief for overworked, overheated hooves. 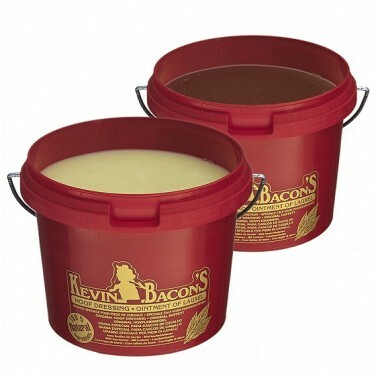 It helps supports hoof health in several ways, and starts working to reduce hoof heat within one hour. Magic Cushion® Xtreme uses a higher concentration of ingredients than original Magic Cushion® to provide faster, stronger relief for performance horses. Advanced formulation creates ‘one way barrier’ to protect from excessive absorption of water and urine. 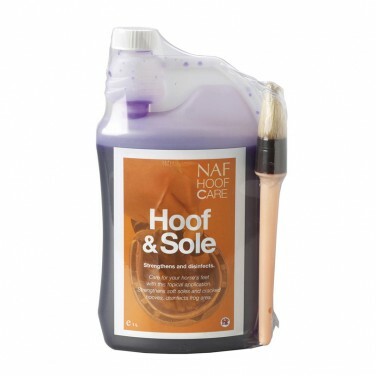 Waterproofs the hoof, yet allows it to breathe naturally and moisture to be repelled. 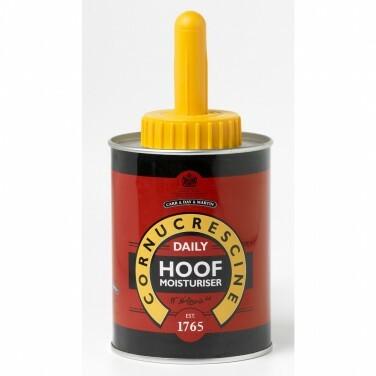 Cornucrescine daily hoof dressing nourishes & protects hooves, and is ideal for routine daily maintenance to keep hooves in tip top condition. 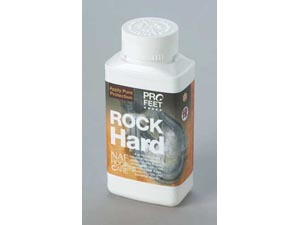 Advanced, water-based formulation penetrates deep into the hoof horn to aid moisture replacement. 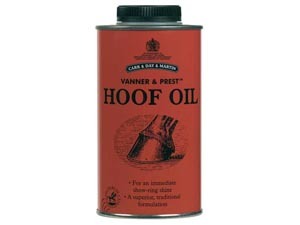 Suitable for dry and brittle hooves; ideal for daily use. 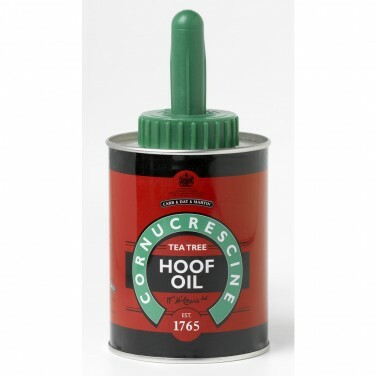 Maintains optimum hoof condition and aids re-structuring & growth of the hoof. 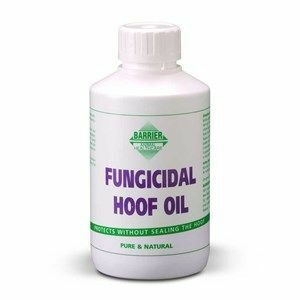 Providing four powerful disinfectants in natural oils, antioxidants and phospholipids enabling quick penetration of hoof hom and a sustained release. Renowned for making a good soak for abscesses. A traditional blend of natural waxes, pine tar and mineral oils. 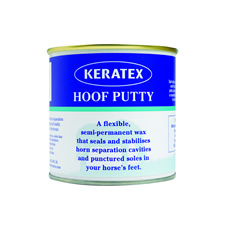 Apply to entire hoof, especially around coronary band to maintain healthy hooves and promote good skin condition. For healthy, strong hooves. Regular use ensures good condition and external appearance. This kit will replace and repair missing horn in the hoof wall. 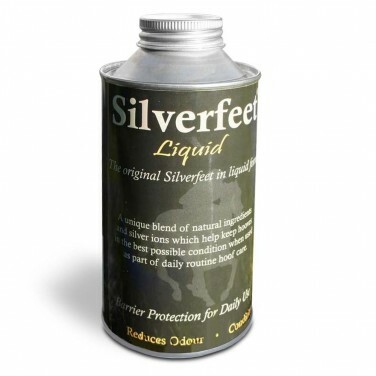 Forms a protective, waterproof and breathable layer over the hoof, keeping hooves water-tight and preventing them from softening, splitting or breaking up in wet, muddy conditions. 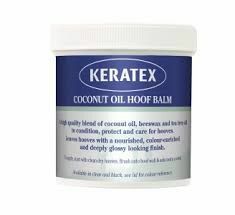 Keratex Hoof Hardener is scientifically proven to strengthen and protect shod and unshod hooves, to restore soundness after sensitive soles and to prevent existing cracks from laddering up or across the hooves. 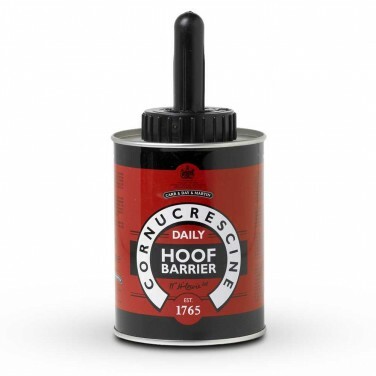 This product is very effective on hooves that suffer from problems in the double-stress area around new and old nail holes. 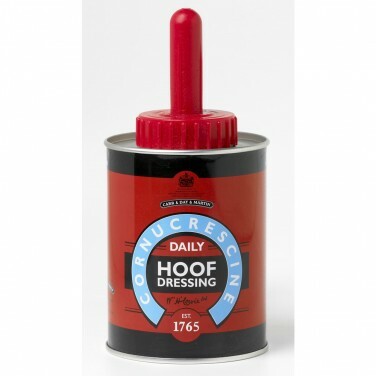 Liquid hoof dressing is a 100% natural product made from vegetable oils and fresh laurel leaves that have been macerated to release their active substances. 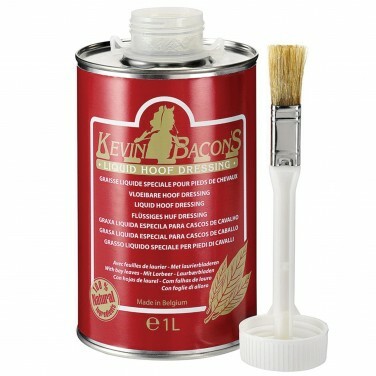 Kevin Bacon Hoof Dressing keeps the hoofs supple and prevents cracks and splits, it penetrates the hoof deep down. It is a natural product. 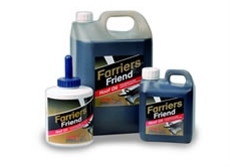 Farrier’s Finish® is a liquid topical hoof dressing that combats the “hoof eating” bacterial and fungal invasions which cause white line disease, thrush, and poor hoof quality. A unique hoof ointment made with extracts of essential eucalyptus oil. 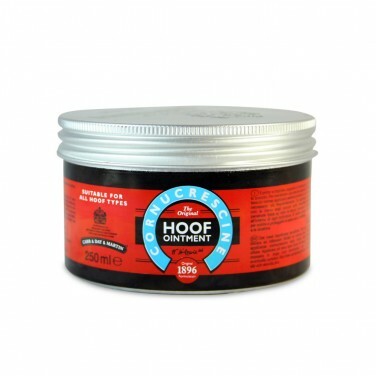 This clear, natural ointment penetrates deep into the horn to keep it supple and help to protect the hoof from becoming brittle and prone to cracking and splitting. Applied daily, Hoof and Sole can dramatically help to reduce cracking, harden soft soles and strengthen and disinfect frogs. 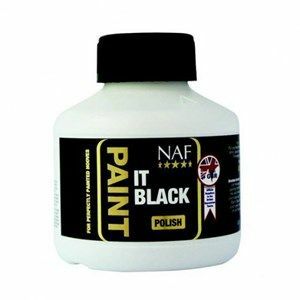 Paint it Black Polish Put your best hoof forward with this super shiny, quick drying paint-on hoof polish. For elegant hooves every time. 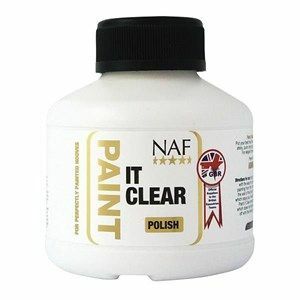 Paint it Clear Polish Put your best hoof forward with this super shiny, quick drying paint-on hoof polish. For elegant hooves every time. 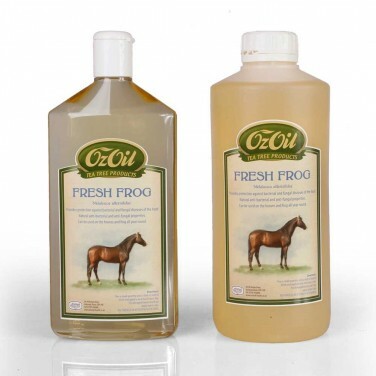 A water-based moisturiser to help maintain the natural moisture balance of the hoof. 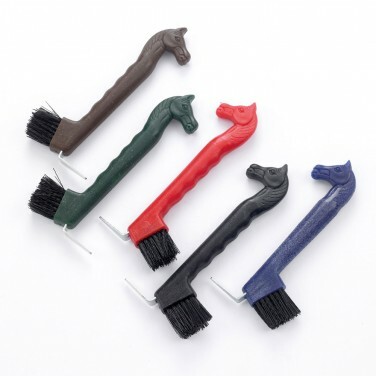 Apply regularly to retain the flexibility and strength of the hoof. 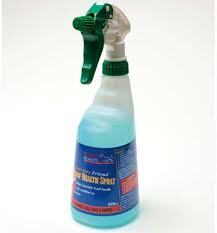 Gives a concentrated spray application, which eliminates wastage yet, allows saturation of badly affected areas. Only a single treatment is necessary in most cases. A high quality pine tar with antibacterial disinfectant in an easy to use aerosol. 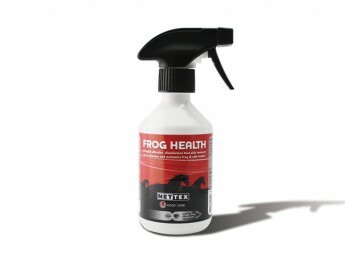 Creates a water proof barrier against dirt and bacteria to help maintain a healthy hoof and frog. Totally spill-proof and therefore very economical and also contains cod liver oil. Easy application before each event ensures that hooves have that just polished look.